The thing which you have never seen before! I have recently published a post regarding page numbering in Open Source Office applications. This time I will repeat the same post in slightly different manner. There are video lessons showing process of document editing. All three lessons use same .odt file with content of my guest posting. Let's start with OpenOffice.org Writer. Second exercise will be with KWord from KOffice (Calligra Suite). And finally we do same lesson using AbiWord from GNOME Office. How do you like it? Are these videos useful? Should there be more video tutorials for you in this blog? Please leave your thoughts and ideas in comments to this post. And, by the way... Do you like my voice? Once upon a time I have already told myself that I had enough of Mandriva Linux. It was too slow and not promising for me. I tested Mandriva Linux 2010 Spring that time. There are some additional bonuses in running small range of Linux CDs (either on this page or eBay). You can never predict what your customer wants. 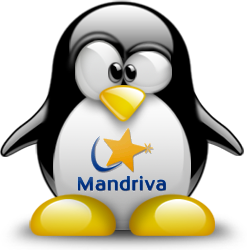 This time round I got an order for Mandriva Linux 2010.2 KDE. As long as I need to test CD before despatch, I can also put some notes in here. So, CD-R is burnt, placed into CD drive. Reboot. Choose to boot from CD. Let's go! I have tried Debian and its derivatives quite few times now. My previous attempt was to install Debian Squeeze onto hard drive of my laptop using single CD from Debian installation package. This is a way you should NEVER EVER install your system, unless you want to get bare-bone one. When I got this naked Debian on my computer, I saw how weak a powerful system can be. I became fed up very quickly. As long as I had nothing to lose, I decided to give Spiral Tux another try. This time I took my laptop from its usual place and took it close to my network router, so usual network cable was reachable. So, put Debian installation CD1 into CD drive. Connect network cable. Reboot. Choose to boot from CD. Let's go! Some time ago I made guest posting on Go2Linux.org site comparing Open Source Office applications. That time I complained that it was not obvious for me how to automatically number pages in the document using some of text processors reviewed there. Have you ever faced this issue? Hope this time I will open the secrets of three different packages and show you how to solve this issue. I bet there are lots of "how to" installation guides for Debian 6.0. I am going to tell you here how NOT to install Debian 6.0 Squeeze. Hope this will help you to avoid some mistakes. Of course, like everything in this blog, all the rakes were stepped on by myself. Debian 6.0 Squeeze installation CD. This is CD1 from their GNOME distribution on i386 platform. Compaq Presario C300 laptop. The one I constantly use for my experiments. Great wish to test Debian. All previous attempts failed. At the time of the test, Debian had not released Live version of the product yet. So, I had no other choice but to try full installation. "What?" - can you ask. Did you change your approach of Live test only? For this instance, yes. I decided to (probably temporary) replace old friend Puppy with new version of Debian. So, disk is burnt, loaded into CD-ROM drive of laptop. Reboot, choose to boot from CD. Purpose: learn process of installation and work of distributives of operating systems Alt Linux Desktop 5.0 KDE and Window 7 Ultimate in low-spec computer which you can find in school. Experiments ran on memory cards 64, 128, 256 Mb, and also with external network card. External video card was not tested because there is not AGP slot on motherboard, and I didn’t have PCI video card available. Screen Samsung SyncMaster 550s, 15"
Comment: videocard has standard RAM 16Mb, but can be extended in BIOS, effectively reducing RAM available for applications. I have already tried to approach Debian system several times. I feel like I have to touch the heart of many Linuxes, as they are built on Debian. I am not talking about Ubuntu alone, there are much more to mention. All my previous attempts to fully run Debian or Debian-based Linux on my laptops failed. This time I am going to check another re-incarnation of Tux with Spiral. It is named SalineOS. It was released in January 2011, which means it was based on rolling release of Debian Squeeze just prior to their final release. SalineOS takes just over 800Mb of download. But this size means I cannot burn this image to CD. Although there is a method of USB-"burning" on SalineOS official forum, it simply does not work. When booted from USB created by that method, I got error "No DEFAULT or UI configuration directive found!" All this means I can only run a test starting SalineOS from my DVD-RW disk on Toshiba L500 notebook. Disk is ready. Reboot. Choose to boot from DVD. Let's go! Now you can find Linux notes from DarkDuck not only on this page! Please subscribe to Twitter news feed and Facebook fan page. Links are on your right! Contest which ran in this blog for few last days is now closed. And I am happy to announce results.